I've been a bit slack on the blogging front these past few weeks, but now I'm getting back into the swing of it. Moving forward I've decided that instead of sharing a monthly empties post, I'll share a quarterly post instead. This will give me more space for new and exciting content, and will also make my empties posts look far more interesting. Since I was also slack at the end of 2016, I feel like I missed the last two months worth of empties. So my end of 2016 empties is probably my biggest yet. According to my trash box, I used up five different Lush Cosmetics products. I always feel like it's more, but the trash does not lie. Five bath bombs to be exact. I used up two of the Lord of Misrule bath bombs, which is sadly a Christmas limited edition. I already regret not buying more of these. I also used up my So White bath bomb, another Christmas limited edition. This one is relatively nice and I will usually grab one every Christmas time. If it wasn't limited edition I would probably still buy it. I also used up my Monsters Ball bath bomb* which was a Halloween limited edition. I was really sad I didn't stock up on this one as it was fantastic and created some stunning bath art. Last but not least, I also used up the Twilight bath bomb - one of my all time favourites and thankfully a permanent product. Forever loving this one. Shower products always seem to take forever to use up in my house. I think my partner and I are pretty stingy in using up bath gel maybe? I finished off my second or third bottles of the L'Oreal Elvive Extraordinary Oil Shampoo and Conditioner, one of my all time favourites since earlier last year. I actually wrote up a full review which you can read here. We managed to finish off two shower gels, at least. 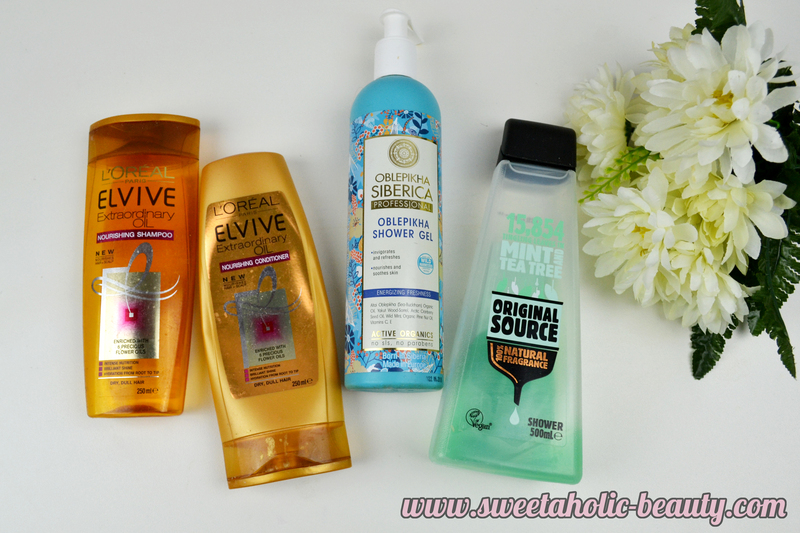 I primarily used the Natura Siberica Oblepikha Shower Gel which was pretty nice. A little went a long way which is probably why it took me so long to finish this one off. I did like this one but I have a lot of others to try before I'd commit to buying again. My partner used up the Original Source Mint and Tea Tree Shower Gel, with my help, a staple in our shower. He's already stocked up. I used up a few products in the makeup removal department. 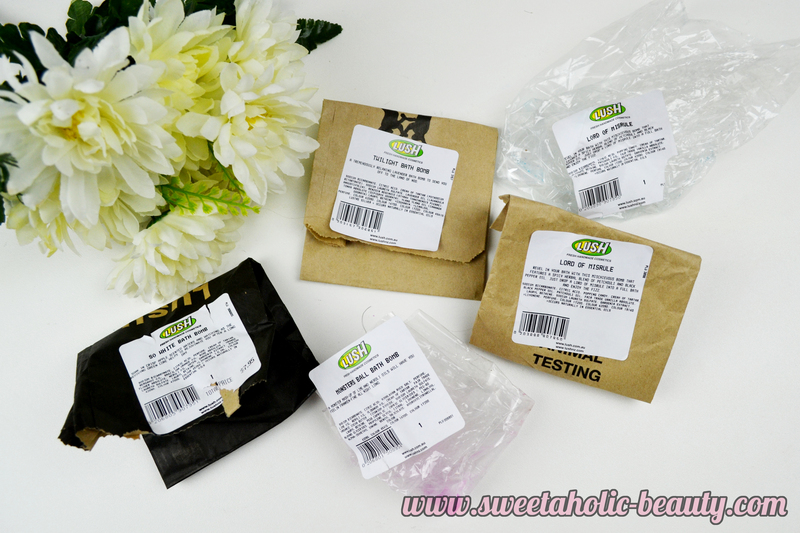 I tried out the Nip + Fab Glycolic Fix Night Pads Extreme to see how they went, as I love the originals. Truth be told I've already switched back over to the original as I find them to be much more compatible with my skin. I also used up the Nivea Double Effect Eye Makeup Remover. I found this worked pretty great at removing my eye makeup and didn't sting or aggravate my eyes. I've been trying another one since which I like about the same - maybe better - so I guess I'll make my decision based on sales. 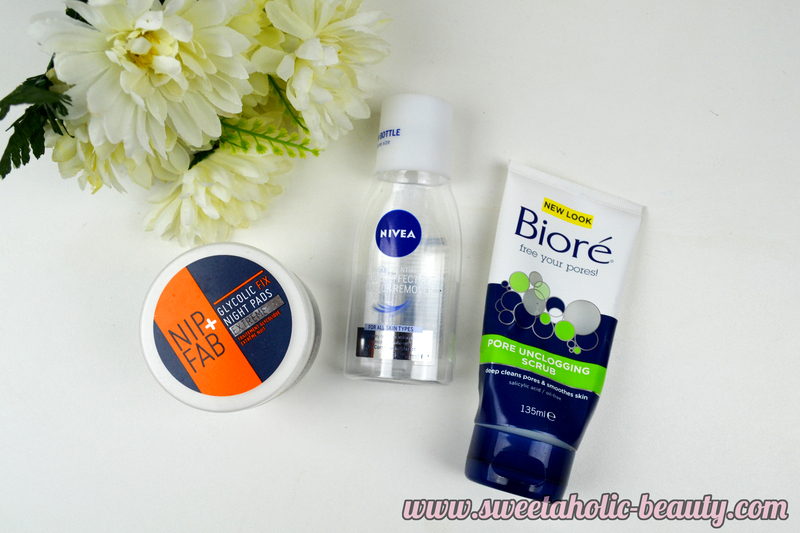 I also finished off the Biore Pore Unclogging Scrub which is one of my favourites. I've been using Biore for ages now and I always get drawn back to this one so while I have a lot of other scrubs to try out, I'll probably grab this again at some point. 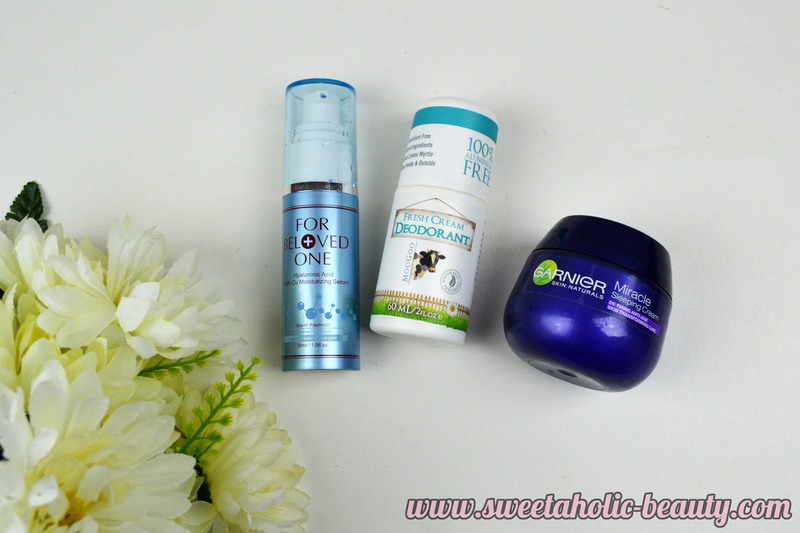 For my skincare routine, I finished off a few favourites. My new favourite serum, the For Beloved One Hyaluronic Acid Serum* has been doing wonders on my face. I have a few other serums I need to test out for review purposes but I would definitely buy this one to use again. I also finally finished my sleeping cream, the Garnier Miracle Sleeping Cream. I first tried this two years ago and this was my second tub. You can read my full review here. Sadly, I finished my first tube of MooGoo Fresh Cream Deodorant* that I've been using since mid last year. I was pretty happy with how long it lasted me, and I'm already on my second tube. I actually did a 28 Day Natural Deodorant Challenge with this one; you can read my full review and experience here. 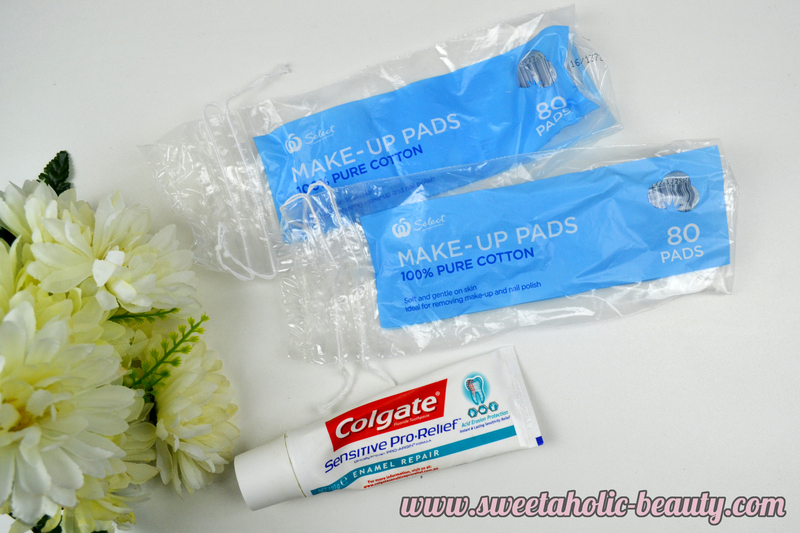 A few staples - of course, I polished off two packets of Woolworths Makeup Pads. I love the ones from Woolies and will only grab ones from somewhere else if I'm desperate. Luckily I have a few more stashed away. My partner and I also used up the Colgate Sensitive Pro-Relief Enamel Repair toothpaste. This is my favourite toothpaste because I do have sensitive teeth, but I've switched it out this month for a new whitening toothpaste I'm trialling. Last but not least, I tried out two of my new Sephora masks. 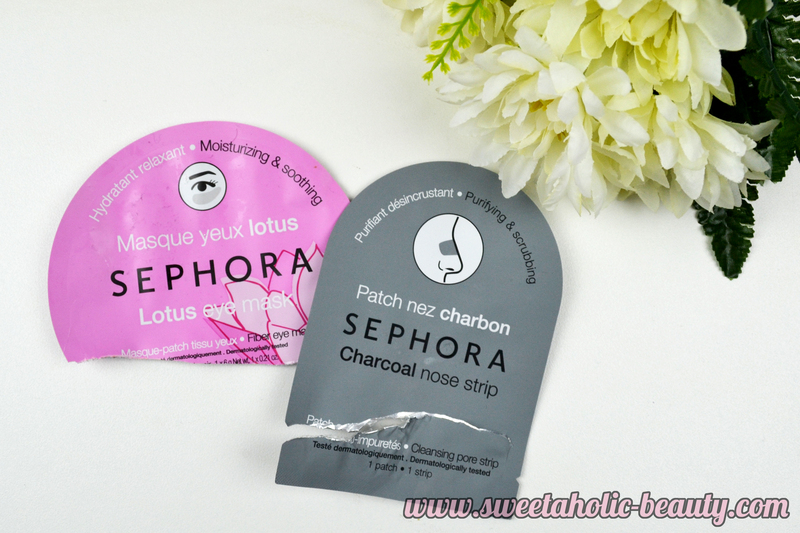 I loved the Sephora Lotus Eye Mask as I find this one to be very relaxing. I popped it into the fridge beforehand for a little while and have to say I'll be doing this every time. I was also pretty impressed with the Sephora Charcoal Nose Strip - I couldn't believe how much junk it got out of my nose. I've been keen to get this one again but it's never in stock at the Melbourne Central store,s sadly. I feel very accomplished writing a longer empties post, which is why I think my decision to go quarterly will make me feel better. Have you tried any of the above products? What did you think? I finished my tub of the Garnier sleeping cream not too long ago too and absolutely loved it! I haven't repurchased yet because I have so many night creams to get through, but it's definitely a fave. I'm also currently using the Moogoo deodorant and it's doing a good job for a natural option! Some great empties there Hun I don't think I have really tried any of these product before. 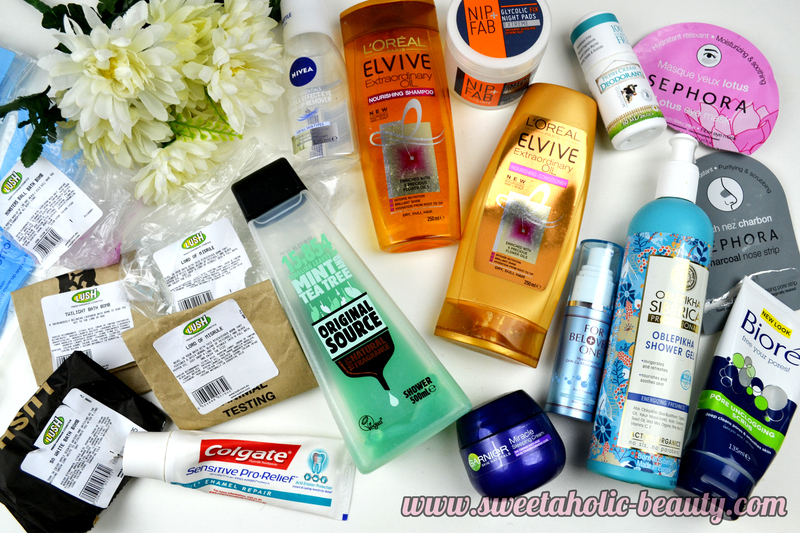 Ah, how I wish I could do an empties post. It takes me forever to use up entire packages of makeup/toiletries! What an impressive empties list! I've finished quite a few Lush products recently too but I think I've thrown half the packaging out :( I think I need to implement a beauty product trash box too! Whoa, look at all those products! You have used up plenty of good items, can't wait to read your next quarterly installment!